We just wanted to have a bit of a follow up to our fantastic Mikkeller Hop-topia tasting on Monday, hopefully you all enjoyed it as much as we did. 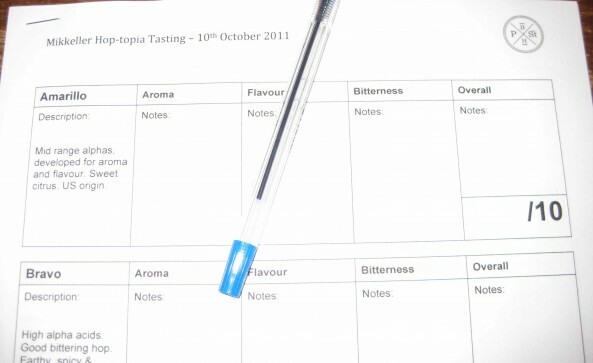 Alas as the night went on our ability to make meaningful tasting notes diminished, so I thought this might be an opportunity for you to submit yours, let us know what your favourites were and why. 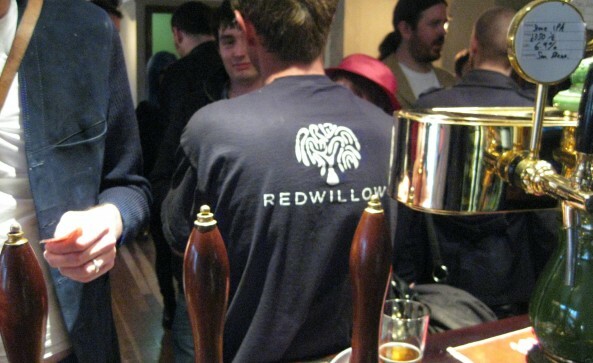 Here are some lovely pictures from our evening with Toby Mckenzie from Red Willow. Yet another successful ‘Meet The Brewer’ . The next event will be on Monday 31st October with Quantum – more details next week. – Event / AB:07 Launch – Wednesday 5th October – It’s Back On! Here at Port Street Beer House at 7pm on the 5th October something of the unseen is happening. With only one other bar outside of the Aberdeenshire HQ, we are going to be sharing a very exclusive beer, this is going to be as rare as a nun in a bikini. Josie from BrewDog is smuggling an unreleased concoction across the Scottish borders especially for us! 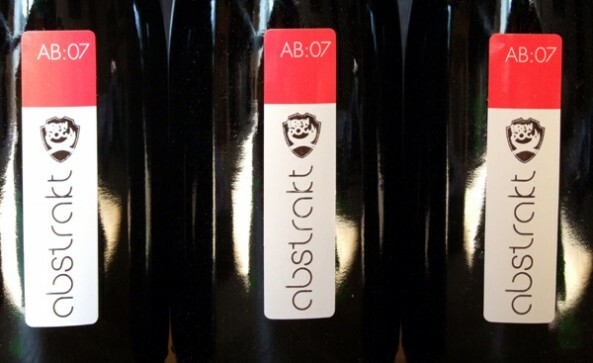 It will be the launch of AB:07. It’s a whisky cask aged imperial Scotch ale brewed with lager yeast, heather honey and Islay whisky malt and at 12.5%. We only have one 20 litre keg so be quick because when it’s gone, it’s gone. The launch is open to all, it’s a non-ticketed event and beer will only be available for purchase. No Comments on Event / AB:07 Launch – Wednesday 5th October – It’s Back On! 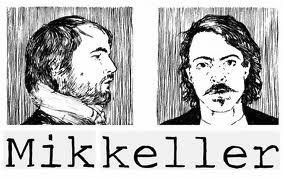 Mikkeller has brewed 19 different single hop IPA’s. Every beer is brewed with the same yeast and malt, the same brewing process and same amount of hops. The only difference is the 19 different hop sorts. The result is 19 very different beers with theoretical IBU’s ranging from 38 to 114. All 19 beers are really fresh and have been bottled and barrelled at de Proef in Belgium. In addition, this single hop series is part of a scientific project, studying how hops evolve over time, how the choice of container affects the taste as well as other parameters. The event will encourage an open discussion within the small groups about the beers. Monday 10th October we will give you the chance to taste the FULL range of beers at Port Street Beer House. The hops used are : Bravo, Cascade, Centennial, Cluster, Columbus, Galena, Mt. Hood, Nugget, Super Galena, Tettnanger, Willamette, Citra, Palisade, Simcoe, Warrior, Challenger, Magnum, Amarillo, Sorachi Ace.